The Clethra shrub (Clethra alnifolia) is found blooming in the wetlands of eastern Massachusetts during early August. Its strong, spicy-sweet scent is a powerful attractant to honey bees and many other pollinators. 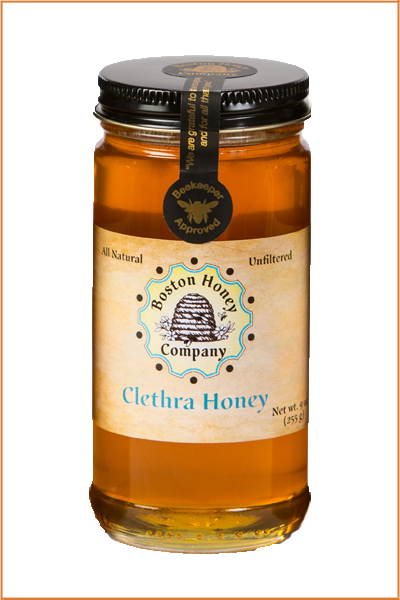 Clethra honey has a peppery, licorice taste. A truly rare treat, we recommend you enjoy this honey by itself, or paired with your favorite cheeses.